We Wanted To Say Thanks! So, Here Is What’s Next? We appreciate you for telling us a little bit more about your house! 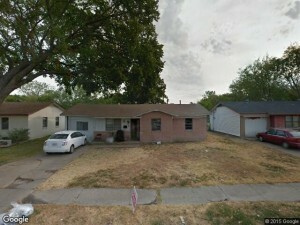 Did we mention we buy any house Dallas Fort Worth…. If the price is right of course :). As soon as we receive the email from the opt in form we’ll get right to work, and we’ll give you a call as soon as we can usually minutes but within 24 hours at least. We will get any final information on the house we need so to make you a quick FAIR ALL-CASH OFFER this week. Don’t hesitate to call us anytime if you have any questions about anything. Remember to keep your phone near you in the next 24 hours or so because we’ll be calling to follow up with you and to get a few more details so we can make you a quick cash offer and help you sell your Dallas Fort worth house and surrounding cities fast. Still Have Questions? No Problem. In fact we’re glad you do! We want to make sure all our clients are fully educated before making a decision. Metroplex Invest is a real estate investment firm the focuses on buying single family houses and multi-unit apartment complexes. We have a reputation of hassle free, straight forward, and easy to deal with. We make quick TOP DOLLAR cash offers, close fast, pay all the closing costs, buy houses in AS-IS condition, and we charge absolutely ZERO hidden fees or commissions like most companies do. ABSOLUTELY NOTHING. We promise you will pay no fees or commissions. We are not realtors and we are not listing your house… we will be buying the house ourselves. Did we mention we pay for all of the closing costs and other costs associated with the sale. Pretty hard to beat that!!! How Will The Process Work When You Buy My House? First off, it is a very simple process. After receiving you information by opting into the online form we will follow up and give you a call to fine out a few more details about your house. We just need some basic info nothing complicated. We will ask about the age, size, condition, etc… All we need is just enough information for us to be able to know what we are looking at in order for us to feel comfortable about making you a quick cash offer or possibly taking over your payments in a low equity situation. Next, if you feel like you would like to work with us and are ready to move forward with us buying your house based on the offer we give you, then we’ll get the paperwork going and sign a basic purchase agreement using the state TREC 1-4 document. Shortly after we will take the agreement to a local trusted, neutral title company and open up escrow and begin a title search. All of this usually takes place in just a day or two. Finally, (usually within just a week or so, if you need to sell your Dallas Fort Worth house fast) we will set up a closing date and then you will have your cash in hand and the headache of selling your house behind you quickly. You can then move on to whatever life has in store for you next. That is it. It is just that simple and quick. Call us right now to get your offer at 469-319-1330. What If My House Is In Horrible Shape? Can You Still Buy It From Me? ABSOLUTELY. 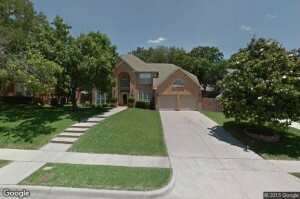 We are known for the saying “We buy and house Dallas Fort Worth and surrounding cities.” We buy houses in Dallas Fort Worth AS-IS in any condition. We think you would probably be amazed at a few of the houses we’ve bought in the past. You may be asking why would we buy houses in such bad condition? 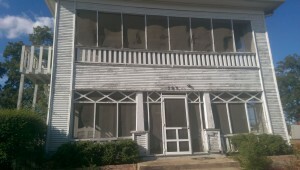 In all honesty most ugly houses just need a little TLC… and we are industry leading experts at providing the expertise and knowledge on how to restore these once run down properties into houses that families in our community would be proud to call their home. We are responsible and pay for all of the renovations and repairs after we purchase the house… you will not have to lose sleep and worry about this one bit.